Before selecting a muzzle it is important to understand their purposes and uses. There are two available types: Occlusion, which keeps the mouth shut, and Basket, which allows enough room for the dog to open their mouth and pant. The occlusion muzzle is appropriate for short-term situations, such as during grooming procedures; it should not be used for long-term wear because it prevents the dog from panting, which can cause over-heating and lead to heat stroke. This is not the correct type to used if you intend on having your dog outside, especially in high temperatures. The basket muzzle can be made of soft nylon, plastic or wire. They allow enough room for dogs to comfortably open their mouth and pant freely. A wire basket is the most secure way to prevent biting; the soft nylon or plastic may not be resistant enough for certain breeds. Although the law does not specify of what type of material the muzzle should be, it is recommended to purchase a comfortable muzzle for taking your dog outside. The most important things to consider when selecting a muzzle are the dog's safety and comfort. Proper measurements are very important. To determine the length, measure your dog from the eyes to the tip of the nose; for circumference, measure all the way around, approximately 1" below the eyes (For circumference measurements only: add ј” to Ѕ” for small dogs and 1/2" to 1" for large dogs). Explore your options. 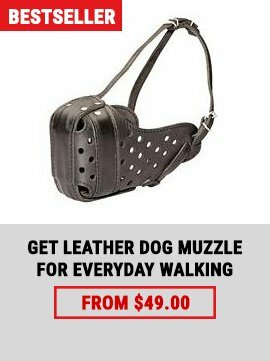 To find the perfect muzzle, call or visit different pet stores. Consider taking your dog along so that an educated staff member can correctly size the product. 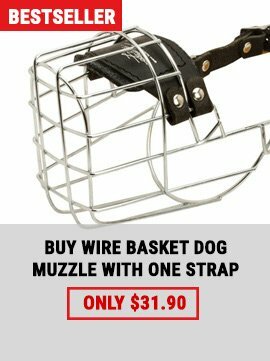 There are also a number of internet retail stores that would sell muzzles. 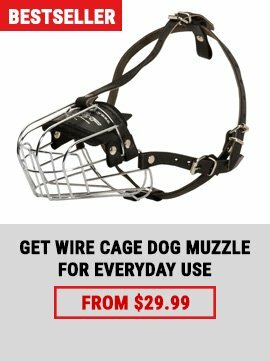 Whether walking your dog on crowded streets, visiting the vet, or seeing the groomer, there are times when it pays to safely and compassionately use a dog muzzle. 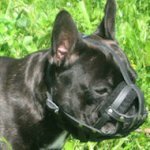 Putting a dog muzzle on your dog signals to passersby, and dog care professionals, that you are watching out for their safety. They'll feel more secure, and so will you. But remember that a dog muzzle is a short-term tool, and is not to be used for extended periods.